Honda calls the Acura SUV-X a global concept, but says it primarily targets the Chinese market. Acura is considering a compact crossover to complement the Honda brand's upcoming Fit-based utility vehicle. The vehicle could parallel the Honda Vezel, which debuted at November's Tokyo Motor Show and hits U.S. showrooms later this year. Honda has yet to announce the Vezel's U.S. market name. The Vezel shares about half its components with the Fit, including the platform and powertrain. It is positioned a sub-compact counterpart to the Civic-derived CR-V crossover. At a test drive for the Vezel this week, the chief engineer for that vehicle's drivetrain said the company is studying a similar vehicle for the Acura brand. He pointed to a concept shown at last year's Shanghai auto show called the Acura SUV-X. Honda Motor Co. calls the SUV-X a global concept, but says it primarily targets the Chinese market. At the debut, Acura said it plans local production and sales in China by 2016. Could the Acura compact crossover come to North America? Honda spokeswoman Yuka Abe said the company is still deciding what markets outside China will get it. But Honda executives are carefully studying the luxury compact crossover segment, said Naohisa Morishita, chief engineer for the Vezel's drivetrain. "There is a market for it worldwide, not just in China," he said. "Personally, I think Acura needs it." The SUV-X would slot below the RDX, which shares underpinnings with the CR-V and is currently Acura's entry crossover. The Honda Vezel shares about half its components with the Fit. A smaller offering could play to Acura's strength in utility vehicles and tap growing demand for compact crossovers that has spurred rivals to launch the BMW X1 and Audi Q3. In terms of size, the SUV-X concept is the same height as the Vezel, and about a foot longer and 3.5 inches longer. Its styling and stance mirror that of the Vezel, with flared rear fenders, dramatic side creasing and a sloped roofline. 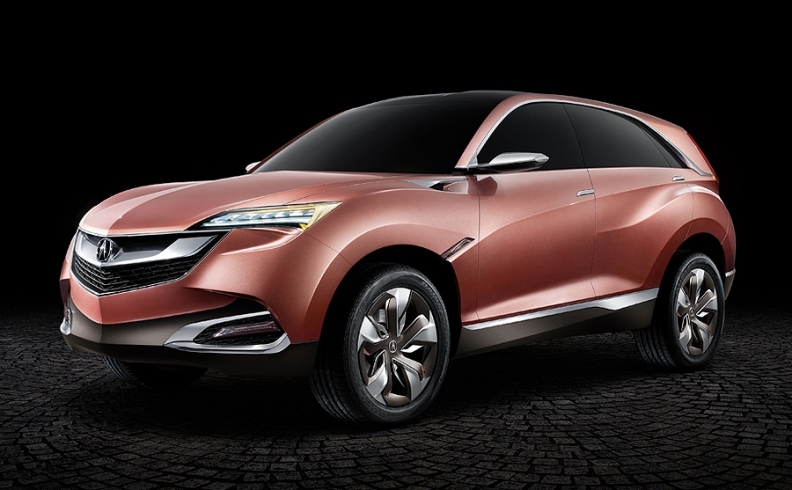 Like the Vezel, the Acura crossover will be engineered in Japan, Honda said. Both will be manufactured in China.